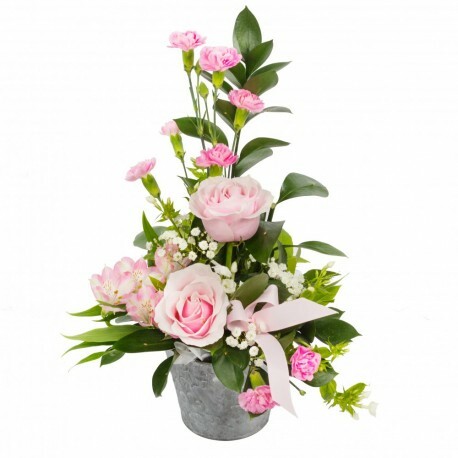 A small but choice selection of pink flowers arranged in a petite container chosen by your florist. A perfect little gift. If you would like in a different colour please call.